Upwell‘s Rachel Dearborn has a thoughtful post over at Medium arguing for more positivity in communication about conservation that emerged from her visit to the Circumnavigating Hope workshop in London. Doom and gloom can be overwhelming. The seriousness of a problem can actually stop people from acting constructively, because humans are mercurial things. What if the stories we told about the ocean weren’t all doom and gloom? Can we foster a kind of hope that inspires people to protect our planet’s most precious resource? Can we create hope and build momentum? The workshop spawned the #OceanOptimism hashtag on Twitter where you can see folks giving it a try. You can also visit Upwell or subscribe to their Tide Report for doses of science, fun, and hope. For a time in graduate school, my research involved the use of zebrafish. We would collect and freeze eggs and sperm from the fish to provide a back-up for our stocks. While I’m not a zebrafish expert, freezing these stocks efficiently enough to generate a viable embryo after thawing is extremely challenging. Therefore, I was really impressed by a project to build a coral “sperm bank” described in a recent NY Times article. These sperm banks could be the best tool to preserve the biodiversity of our oceans, both by saving the coral and consequently preserving the coral-based habitats of over one million species. 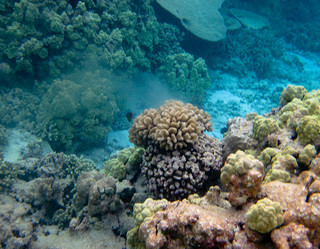 Stationary coral are especially vulnerable to changes in their immediate environment. Many also have very irregular and inefficient methods of breeding. This “sperm bank” approach will be critical for the coral that are dying off at an alarming rate. Approaching conservation by building banks of sperm, however, may signal that scientists are beginning to realize our efforts at environmental conservation are failing. This leads to some important questions. Should scientists be pursuing better ways to preserve sperm and eggs of all endangered species at the cost of traditional conservation measures? Should more funding for sperm banks be included in budgets for environmental conservation? Conservation will buy time to preserve these species, but is time running out?